The revival of old watch names is a big thing. 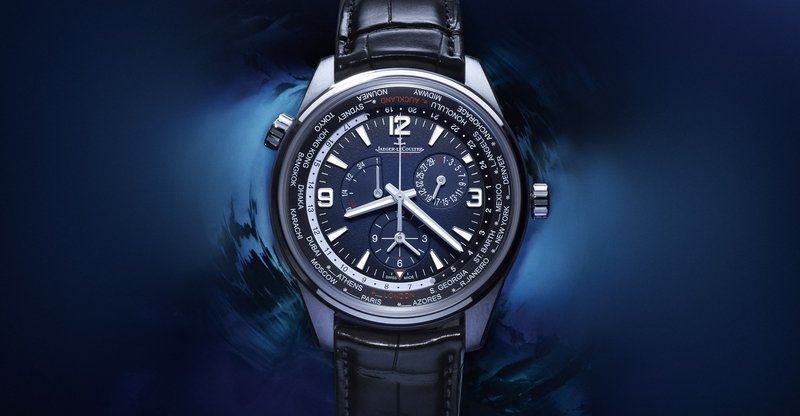 If you want to launch a new brand but don’t know what to call it, you can take a look back into watchmaking history and find a cool-sounding name that has long since ceased trading and you then have a neat, ready-made heritage. These acts of resurrection are not always handled gracefully. With the relaunch of Vertex, however, the story is so personal that any such reservations vanish instantly. Don Cochrane knew that members of his family had been in the watch business, but they never really talked about it; the family firm went bust in the early 1970s, shortly before Cochrane was born. But following the death of his grandmother – whose father had started Vertex – Cochrane was struck that a connection to the family business had been lost forever, and he was determined to investigate properly. He found out that there was a lot more written about Vertex than he had expected. 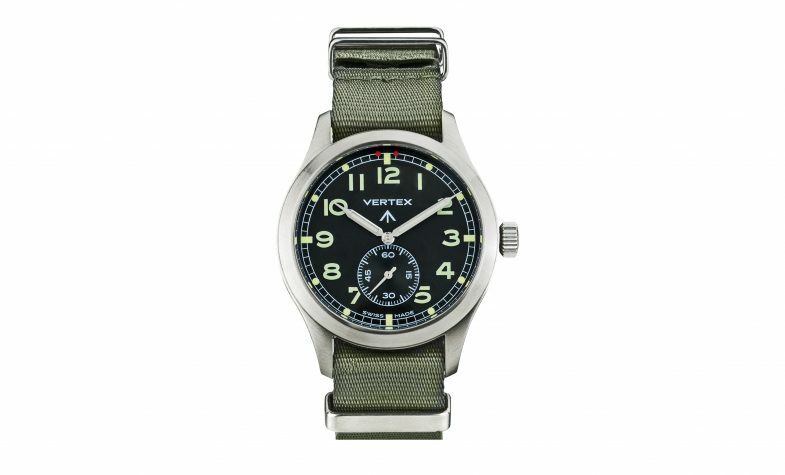 Thanks to the brand’s inclusion in a large British military commission, Vertex has something of a cult following. Cochrane’s great-grandfather Claude Lyons founded Vertex in London’s Hatton Garden in 1916. 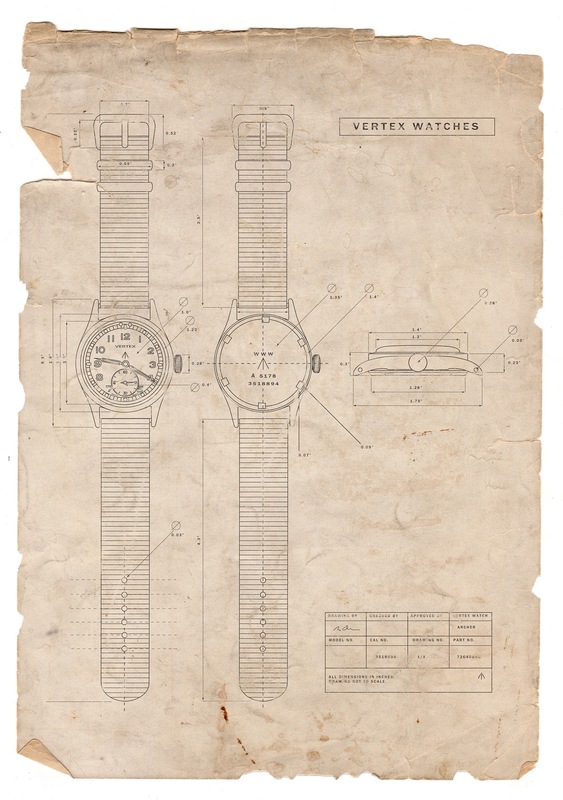 In the 1940s Vertex was chosen by the British government as one of 12 brands – along with the likes of IWC, Longines and Eterna – to deliver a large bespoke order of rugged military watches. 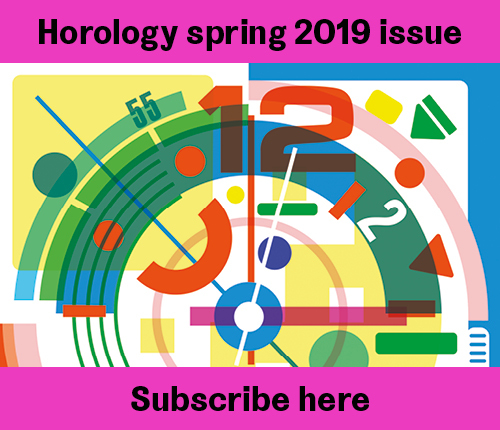 These watches all had 15-jewel manual- winding movements, with luminous Arabic numerals on a black dial for legibility in all conditions, a screw-in caseback and a small-seconds subdial at six o’clock. They all looked similar, save for the type of hands and the company logos, and were all branded on the back with the letters W.W.W, which stands for Waterproof Wrist Watch, or possibly Watch, Wrist, Waterproof. Some of these watches were made in great numbers, whereas others were scarce. Less-fancied examples can be bought for a few hundred pounds; others cost thousands. 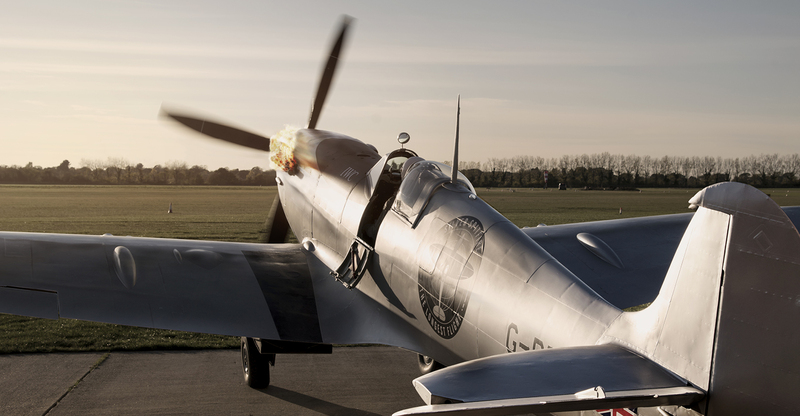 But collectors love the idea of getting a full set, and there are rumoured to be a few people around the world who have the entire line-up, which in watch circles have come to be known, in reference to the classic war film, as The Dirty Dozen. 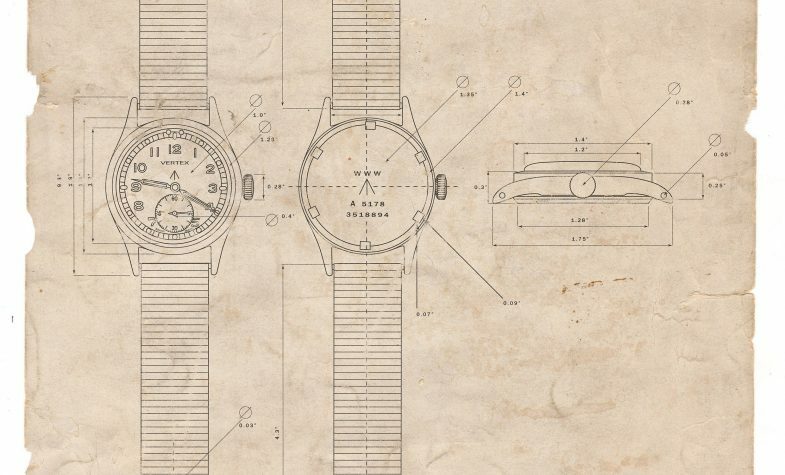 It was this story of these military watches that captivated Cochrane. 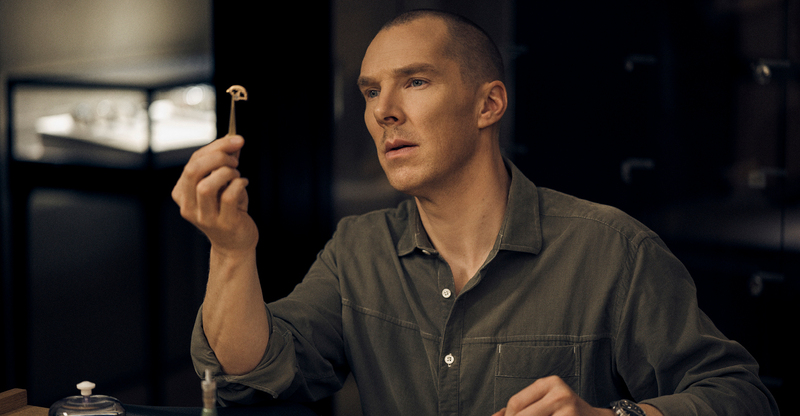 His career background was in branding, working for companies such as Ferrari and Tesla, and he set about developing a new watch. 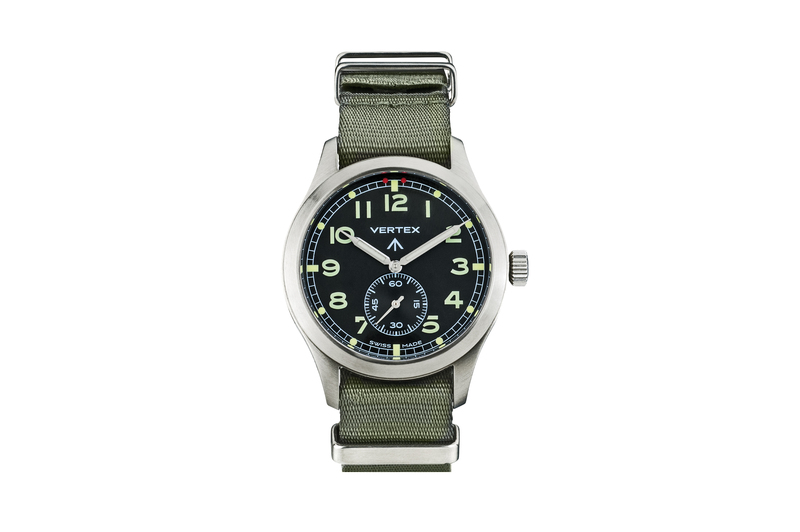 The Vertex M100 is a modern take on Vertex’s Dirty Dozen watch. 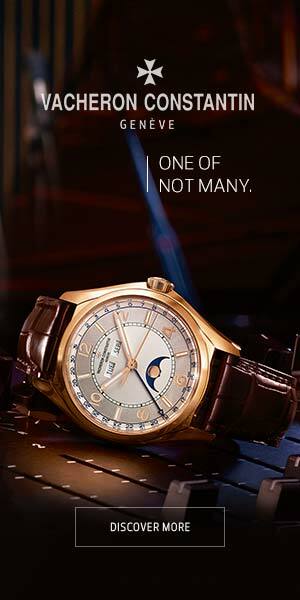 It has a brushed steel case that is 40mm in diameter – 5mm bigger than the original, as befits modern tastes. It is powered by a hand- wound ETA movement and each watch is supplied with both a leather and a NATO-style fabric strap. The plan is to make 600 examples of the M100. There will be another new watch next year, but Cochrane is keeping tight-lipped on what exactly it will be. One thing is sure: it will be a watch that looks to the Vertex of the past, but that gives an idea of what we can expect from the Vertex of the future.